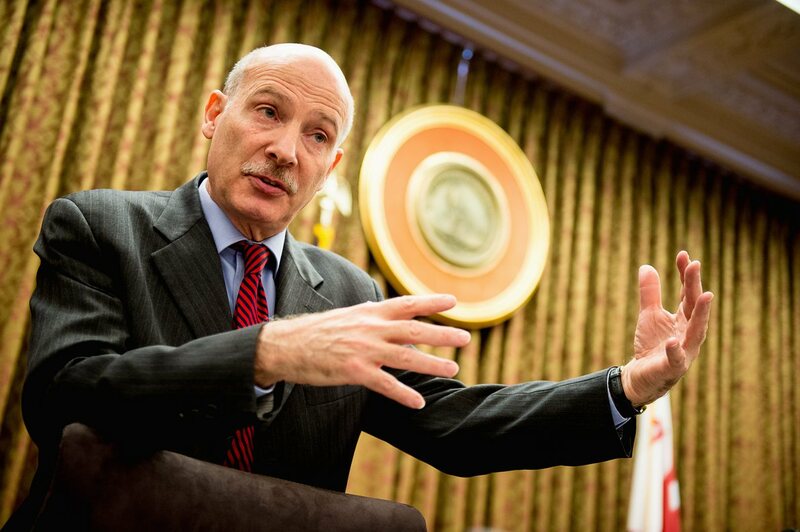 Phil Mendelson. Photo Credit: The Washington Times. Nobody likes to pay new taxes. Sure, some argue that taxes can be good: they get people to cut down on socially unacceptable activities: cigarette-smoking, junk food consumption, successful businessmen’s economic activity, etc. But the D.C. City Council is targeting a sector unaccustomed to such attention: fitness. Under Chairman Phil Mendelson’s (D) budget proposal, D.C. gyms will start paying the 5.75% sales tax on January 1, 2015. Mendelson argues that the money taken from taxing gyms and other businesses will allow D.C. to lower the income tax for low and medium income levels, making D.C. more affordable. Perhaps, but that’s not the whole truth. The Washington Post reports that “the budget also gives city employees raises, increases funding for almost every department.” So Mendelson is going to dig into the pockets of D.C.’s gyms while granting city employees raises. And if the city council approves this budget, D.C. residents will soon face steeper gym fees. You can also reach Mendelson directly at (202) 724-8032, on Twitter, or via email at pmendelson@dccouncil.us.